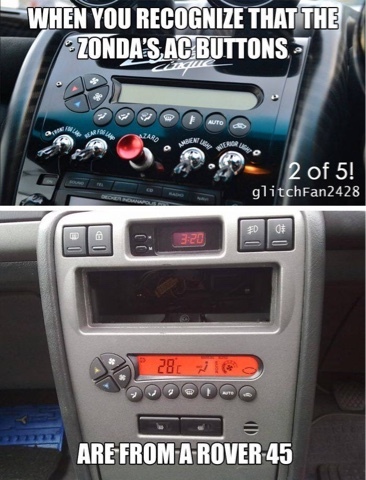 Inspired by the revelation that the Pagani Zonda uses the air conditioning switchgear from a Rover 45, here are my favourite supercars with their feet on the ground. 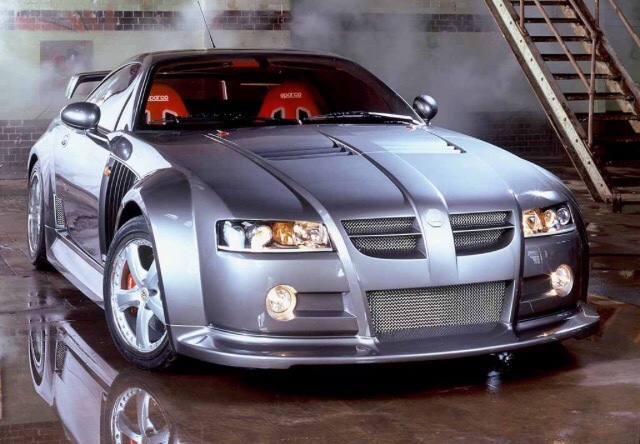 Remarkably, for your £600,000 or whatever a Zonda costs these days, you get the chance to interface with Rover's mid-range finest when adjusting the temperature to suit your Armani-clad godliness. John Z was either the ultimate parts magpie or the world's worst corner cutter. 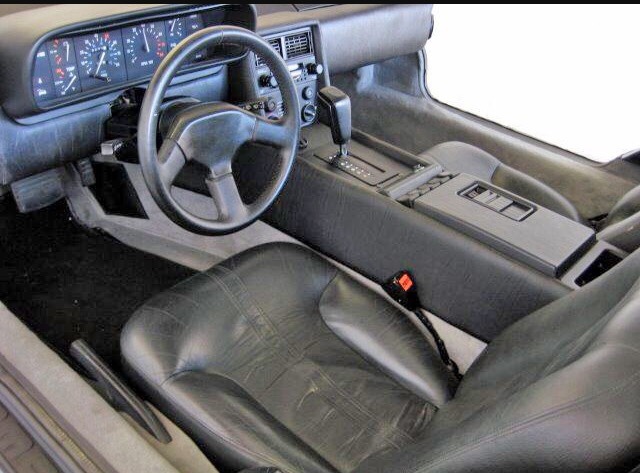 Whichever, there's a lot of Rover SD1 in the cabin and the electric mirror switch is pure GM. And still in use. 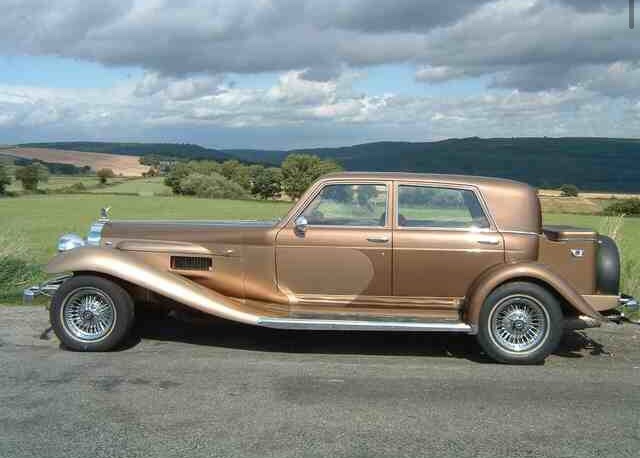 Back in the 70s, if you found a Rolls Royce a little too common you could have a Panther De Ville. With some very common components. 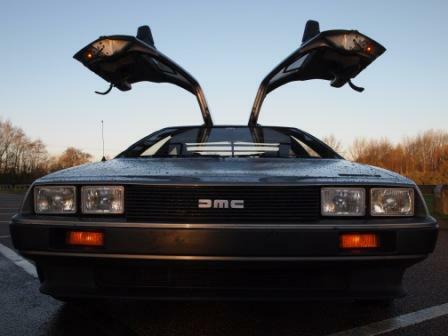 Doors off a BMC 1800, door handles off the same. And that's just the start. 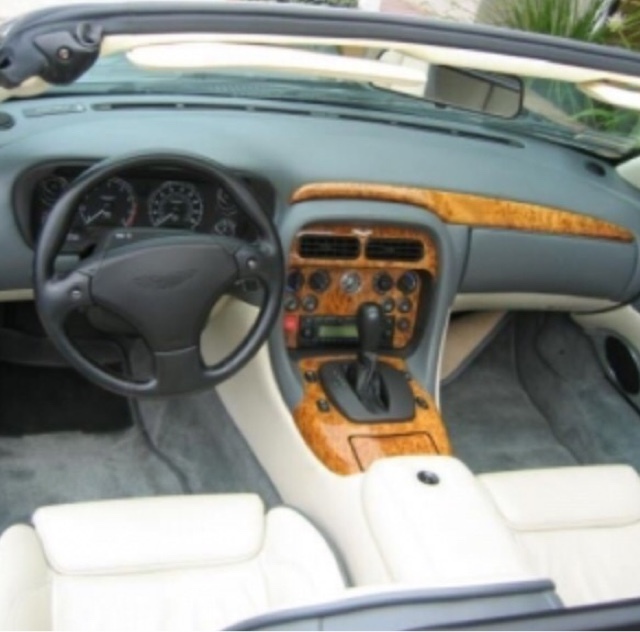 The DB7 looks amazing but the cabin is a major let down, a curiously ill-conceived mix of wood and Ford Fiesta knobs. As if someone chucked whatever was to hand in a big bucket, stirred it all up and handed it to the production line. 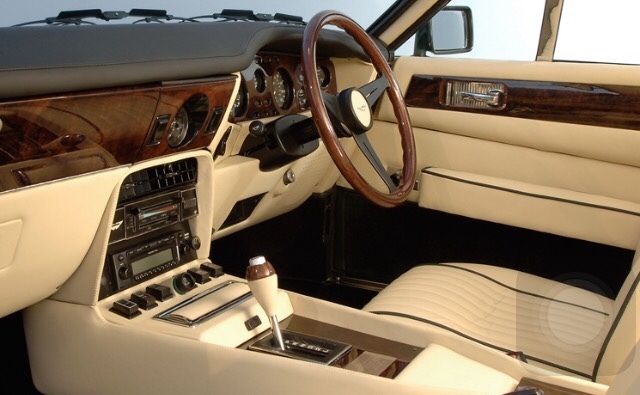 When Aston were casting around for stuff to complete the interior of their new super coupe in the 70s they obviously settled on Jaguar, purveyors of the finest quality, most aesthetically pleasing switches on earth. Or not. The boxy, unreliable buttons look about as comfortably at home in the Aston as James Bond at a feminist convention. Share and share alike is clearly the mantra of cash-strapped manufacturers. 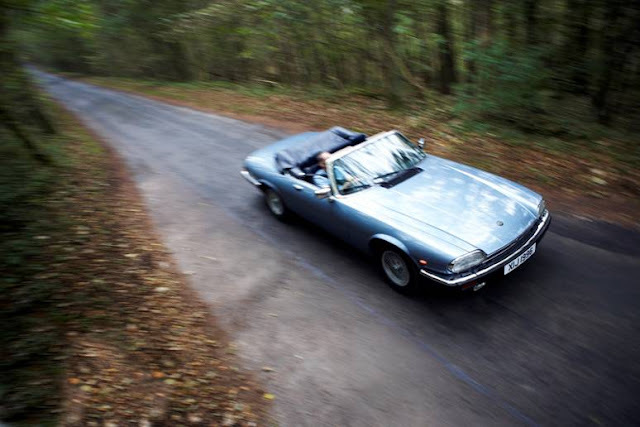 Engineered to be the greatest car Jaguar had ever made, Browns Lane's top bods cast around for the very finest components to justify the car's sky high asking price. 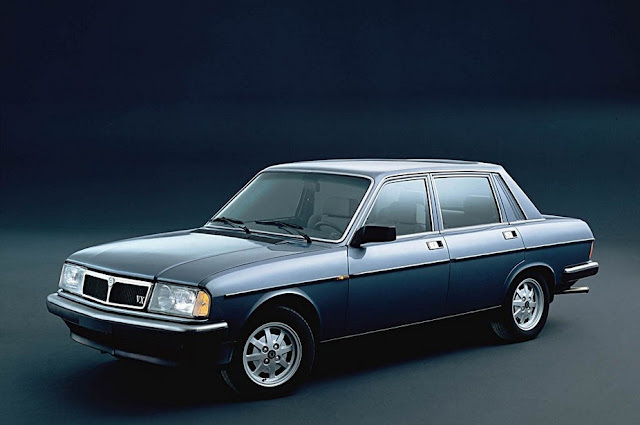 Inevitably they alighted on the rear lights from Rover's 400. For parts seekers copying is the sincerest form of flattery. 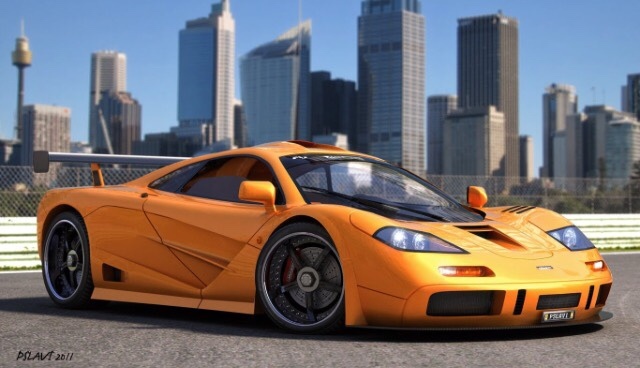 Or at least, that's clearly what Noble's engineers thought when designing the M400. Jaguar had knobbled the supercar rear lights of choice so Noble picked the next best: those from a Hyundai Sonata, a car widely admired for its supercar-esque rear end design of course. Possibly because it's quite fast, so looking behind you is not strictly necessary, but when it comes to wing mirrors on a F1 they faint whiff of afterthought permeates. They're off a VW Corrado. Oh, and the tail lights are off a bus. The poor old MG flagship. First a tortuous birth, then Fiat Punto headlights, then nobody wanted it. Perhaps history might be kinder. 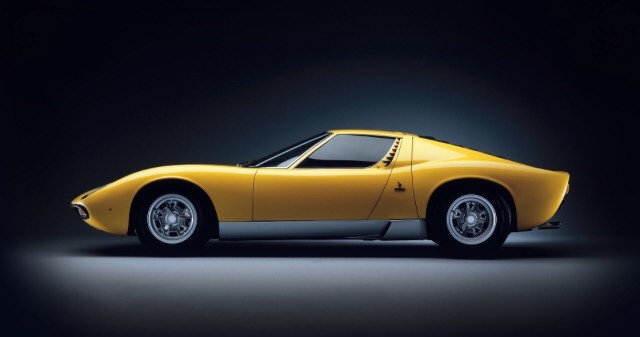 Quite possibly the world's most beautiful super car, but if you're lucky enough to own one you'll be indicating right and left using the same beautifully tactical, hand-tooled stalk familiar to Austin Maxi owners. ...and then there's Cortina rear lights on a TVR. true, true. But they sort of look good!